Matt is a New York Times featured comic book writer, pit bull rescuer, and aging punk living in Queens, NY with his wife and millions of dogs. 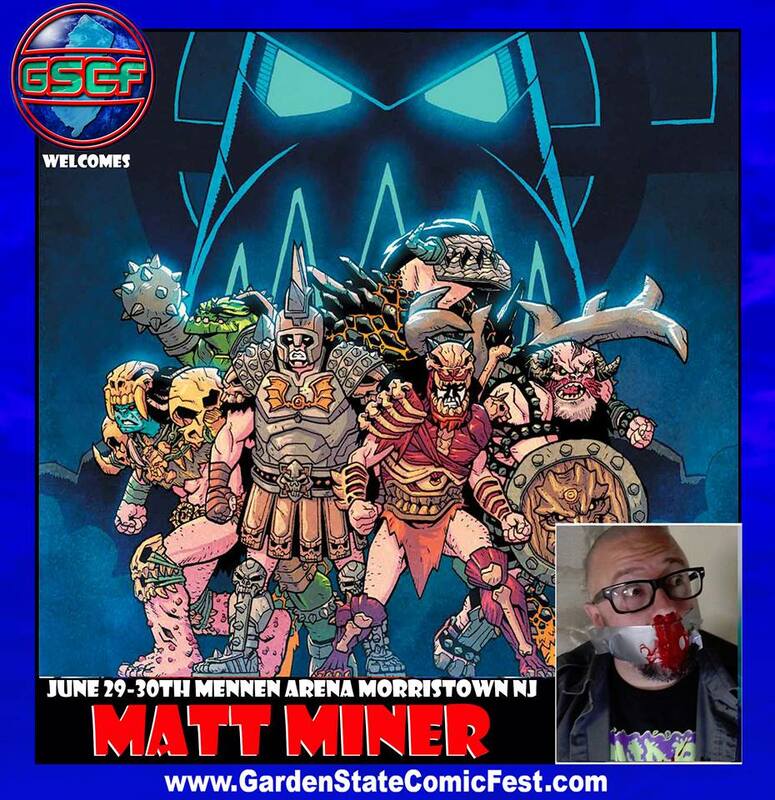 Matt is well known for his politically charged and punk rock infused work including GWAR: Orgasmageddon for Dynamite Entertainment, Toe Tag Riot, Liberator, and Critical Hit for Black Mask Studios, and Poser for Waxwork Comics. Upcoming work includes Lab Raider for Black Mask Studios and GWAR: The Enormogantic Fail, available to preorder now at gwarcomic.com. Matt also co-edited/spearheaded the new political horror anthology This Nightmare Kills Fascists for A Wave Blue World and a new anthology titled All We Ever Wanted: Stories of a Better World, that takes a look at a more positive future vision. Also he is a founding creator of Circle Pit Press, a comic creator collective of like-minded punk writers and artists who embrace an inclusive and DIY spirit in the otherwise competitive world of comics. Find his nonprofit dog rescue online atredemptionrescues.org, his comics site atmattminerxvx.com, Circle Pit Press atcirclepitpress.com, and follow Matt on Twitter at @MattMinerXVX.